When we stumbled upon this wooden dollhouse puzzle we were captivated by it’s ingenious design. The Waldorf-esque simplicity provides an opportunity for open-ended, imaginative play and all pieces fit perfectly together for easy storage or display. 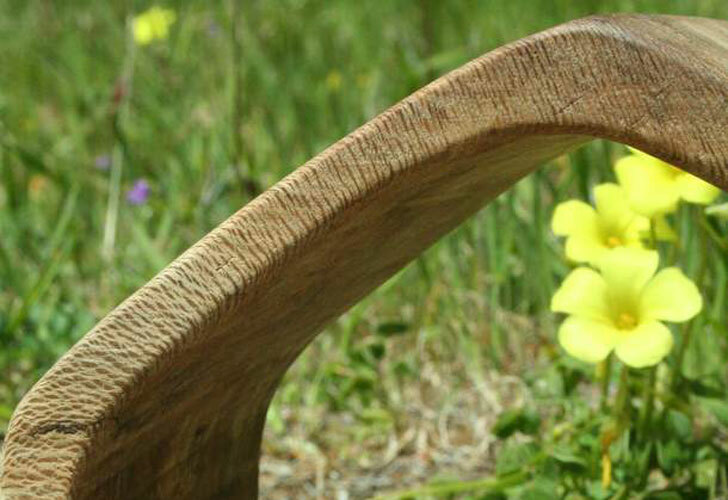 The miniature DIY wooden toy was handcrafted by Jennie of the blog Shape of a Spoon. If you’re handy with bandsaws and sanders, you can follow her tutorial to create this lovely little dollhouse yourself with a 9″ by 6″ piece of hardwood. Some of the pieces that make up the dollhouse are tiny pieces of furniture like the table and chairs set shown above complete with miniature dishes found at an Amish flea market. Other pieces, however are simply shapes cut from wood that could be played with outside of dollhouse play. They may get used to create other block towers or along with other wooden toys by your tots. No matter how your little one plays with this dollhouse puzzle, we are sure she’ll think it’s fantastic! When we stumbled upon this wooden dollhouse puzzle we were captivated by it's ingenious design. The Waldorf-esque simplicity provides an opportunity for open-ended, imaginative play and all pieces fit perfectly together for easy storage or display. 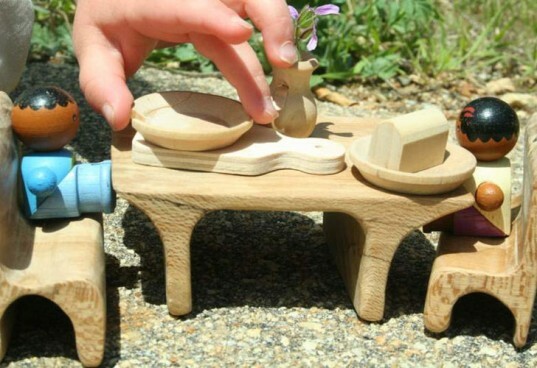 The miniature DIY wooden toy was handcrafted by Jennie of the blog Shape of a Spoon. If you're handy with bandsaws and sanders, you can follow her tutorial to create this lovely little dollhouse yourself with a 9" by 6" piece of hardwood.